Research shows teens need more sleep and do better academically with later school starts. Some districts are listening. I bound into my first-period class at 7:20 a.m., sharp. Half of my students already have their heads laying down on the table, asleep. The other half are making concerted attempts to look awake. My 28 students begrudgingly look up with glazed hostility in their eyes. I want to launch into lectures about sleeping instead of Snapchatting, but I stop myself. I remember being 16. I could never fall asleep at night. I slept through the majority of my own high school career, especially that first-period gym class. And this was before the era of cell phones and Facebook. A plethora of national studies show that my sleeping students are not lazy. They likely do not come from homes where parents refuse to enforce curfews and bedtimes. The all-hours nature of social media isn’t even to blame. Teenagers are just on different time schedules than the rest of us. Some school districts are making changes to bell times to help teens function better: Seattle school leaders this week revamped elementary, middle and high school schedules in a sweeping bell times shuffle. But other students will go on just trying to cope with a crack-of-dawn wakeup. With the approved changes, Seattle high schools will have an 8:45 a.m. start time (as opposed to the current 7:50 a.m. time). School will end at 3:15 p.m. Middle schools will also move to an 8:45 a.m. start with the exception of Denny International Middle School, which will start at 7:55 a.m. K–8 schools have a variety of start times, ranging from 7:55 a.m. to 9:35 a.m. The majority of elementary schools will start at 7:55 a.m. with a 2:05 dismissal, although eight “Tier Three” schools will run from 9:35 a.m. to 3:45 p.m.
As Carr and I are talking, nearby students perk up. “That is the story of my life,” says Jose Aguirre. Nearly all medical research suggests that Carr and Aguirre are perfectly normal. Teenagers are simply not wired to fall asleep at 9 or 10 p.m. Even if they are exhausted, even if they have to get up at 6 the next morning, most of them have a tough time sleeping. The American Academy of Pediatrics recommends that “middle and high schools delay the start of class to 8:30 a.m. or later. Doing so will align school schedules to the biological sleep rhythms of adolescents, whose sleep-wake cycles begin to shift up to two hours later at the start of puberty. The natural sleep cycle for teens … make it difficult for them to fall asleep before 11 p.m.” The Centers for Disease Control and Prevention (CDC) has also weighed in, stating that the insufficient sleep teens get because of early school bell times leads to a plethora of health, safety and academic concerns. These recommendations and the studies they are based on are not new, contested or controversial. District leaders readily admit that high schools start too early, but changing things hasn’t been easy. 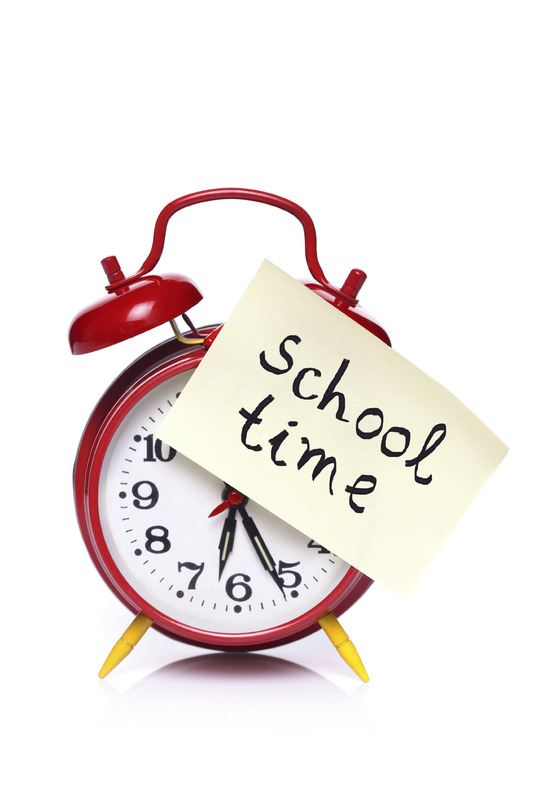 The often proposed flip of high school and elementary school bell times can be problematic for families because elementary school schedules tend to mirror parent work schedules. Finding childcare from 4–6 p.m. is hard and expensive enough. Imagine adding two hours to that time slot. Additionally, if high schools start later that means they get out later, which means less afternoon time for after-school commitments, work and providing childcare for those younger siblings. Teenagers involved in sports and after-school clubs would practice and organize late into the evening. Late dismissal time also affects the entire community, as the availability of sports fields for community and adult use would be affected. Despite this, many schools in the Puget Sound region and beyond are in the process of making the switch. The benefits for students simply outweigh the inconvenience factor. Compared to some districts across the nation, Seattle's is relatively receptive to changing bell schedules. When the Seattle School Board opened a survey last April, 61 percent of parents (out of over 10,000 surveyed) supported flipping bell times. Yesterday, many of those respondents, along with members of the medical community, packed a school board meeting to witness the board approve Superintendent Larry Nyland’s proposal to modify bell times. A 6:1 vote approved the schedule flip, and the changes will take effect for Seattle Public Schools students in the upcoming 2016–2017 school year. With the approved changes, Seattle middle and high schools will have an 8:45 a.m. start time (as opposed to the current 7:50 a.m. time). School will end at 3:15 p.m. Middle schools will also move to an 8:45 a.m. start with the exception of Denny International Middle School, which will start at 7:55 a.m.. K–8 schools have a variety of start times, ranging from 7:55 a.m. to 9:35 a.m. The majority of elementary schools will start at 7:55 a.m. with a 2:05 dismissal, although eight “Tier Three” schools will run from 9:35 a.m. to 3:45 p.m.
Seattle is the largest school district in the area making the switch, but not the only one. Last month the Bellevue School Board directed the district to move toward a high school start time of 8:30 a.m., but implementation plans, feasibility studies and final approvals still need to be hashed out. The Northshore School District has pledged that high schools will start no earlier than 8 a.m. by the 2017–2018 school year. Currently, some students have the option to start late, attending second through seventh periods instead of the traditional first through sixth. Committees have sprung up in other districts in the area to discuss modifying bell schedules, but there is typically a lag of several years between committee formation and actual implementation. So barring a transfer to Seattle, all my sleepy students in the Mukilteo School District will continue to be tired for the rest of their high school careers. But most hope that late start times will become the norm in the future.